Welcome back to the Representation and Health 101 column, where we dissect characters and stories in comics and how they help us heal and cope. Today, we are taking yet another new spin and looking at a comic you may not have heard of. Addressing the needs of marginalized people and those around them is an important way that comics can enhance representation, and this comic does just that. If you grew up with a sibling who had special needs or a disability, or you were that sibling yourself, it speaks a truth that many of us need to hear in order to manage the adjustment of this life. Therefore, today we are going to talk about Adventures From My World, which holds vital truths and information surrounding living with special needs. 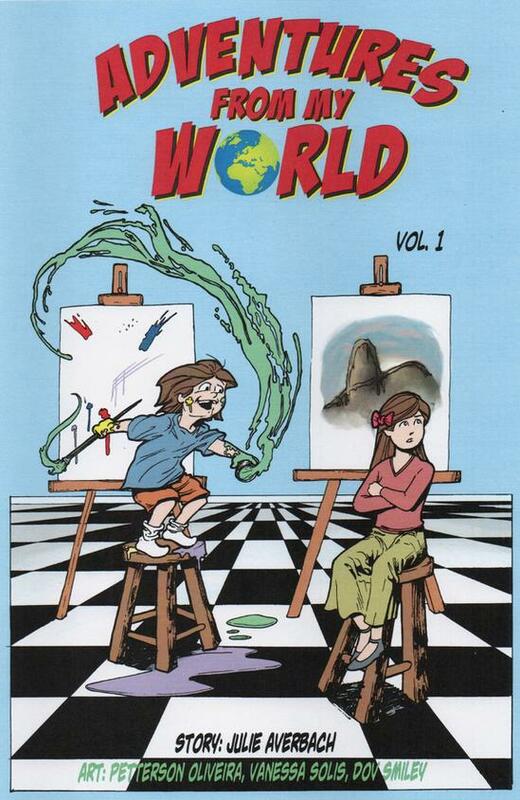 Sixteen year-old Julie Averbach crafted Adventures From My World with Kubert school artists Petterson Oliveira, Vanessa Solis, and Dov Smiley from her own experiences of working with children who are the siblings to special needs kids. Each of the stories touches on one part of experiences of children and adolescents like Julie has spoken with, from feeling overshadowed to finding a sense of appreciation for a sibling with special needs. Some humbling, some inspiring, these tales enlighten those of us who didn’t grow up like the kids Julie works with and affirm those of us who did. The primary focus of this comic is the experience of having a sibling with special needs. In the hustle and bustle of taking care of families, these children experience a wide range of complicated emotions that are not often discussed. Such a reality happens for many reasons: sometimes they feel embarrassed or that they shouldn’t voice these concerns, or sometimes their parents may not recognize the difficulties they face in adjusting to life with a special needs sibling. While my work has not involved many of the experiences that fall under special needs, I have seen the challenge of working with kids in psychiatric hospitals and how that complicates the lives of their siblings who aren’t. Having some place for them to be able to express these types of experiences reduce potential strife or conflict by allowing these kids to feel heard and accepted. 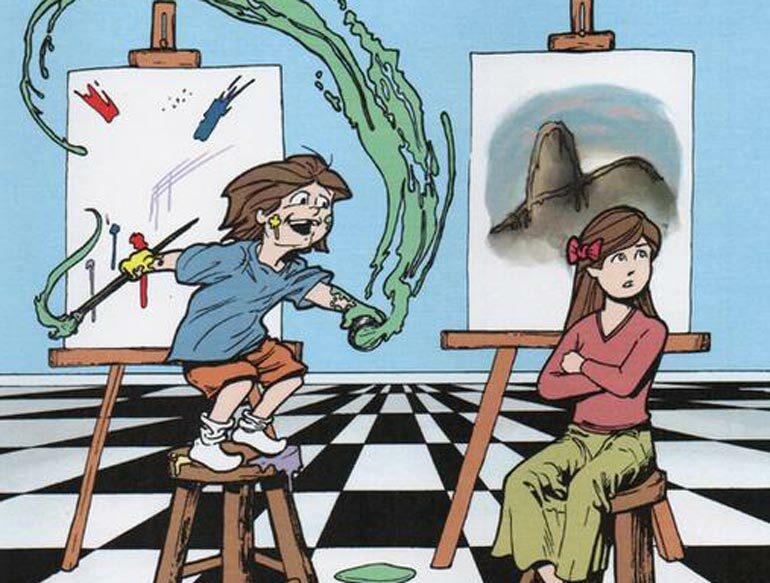 While the comic focuses on the experiences of having a sibling with special needs, it also highlights perception of people with special needs from the outside. Many of these children and adolescents are routinely separated from their peers because of how they process their experience and the world around them. This alienation provides yet another difficult barrier for these young people and can make treatment or even everyday socialization much more tedious. This comic reveals one facet of that experience, helping readers realize the importance of patience, compassion, and understanding for people who act or feel differently from us. These types of narratives are rare, if even present, within comics and they are a perfect medium for exploration and consumption by a wide variety of people. Through Adventures From My World, Julie also reveals that comics do not have to fit within mainstream paradigms to disseminate these messages. On her own, she reached out to artists and conducted major steps to make sure that she could help other young people through her work. She provided discussion questions in the back, which have been used with professionals and support groups to help children and adolescents better understand their siblings and have a safe space to discuss their own experiences. This guided discussion of important material make Julie’s comic that much more applicable and easy to use within the context of therapy. Another important part of the framework of this comic is that the creative team is multicultural. Julie and Petterson are Brazilian, while Vanessa is Mexican and Dov is Canadian. Each of these backgrounds being present speaks to unique challenges for special needs kids and their families from varying backgrounds. Many people of color who have special needs children sometimes face barriers to care that are compounded by economic and social issues. Special needs LGBTQ adolescents and their siblings face additional hurdles exacerbated by systems of oppression like homophobia or transphobia. Even the stories within Adventures From My World showcase families of different backgrounds and make-ups, adding a new level of analysis and awareness that challenges each of us to recognize how kids close to those with special needs may face unique stressors. 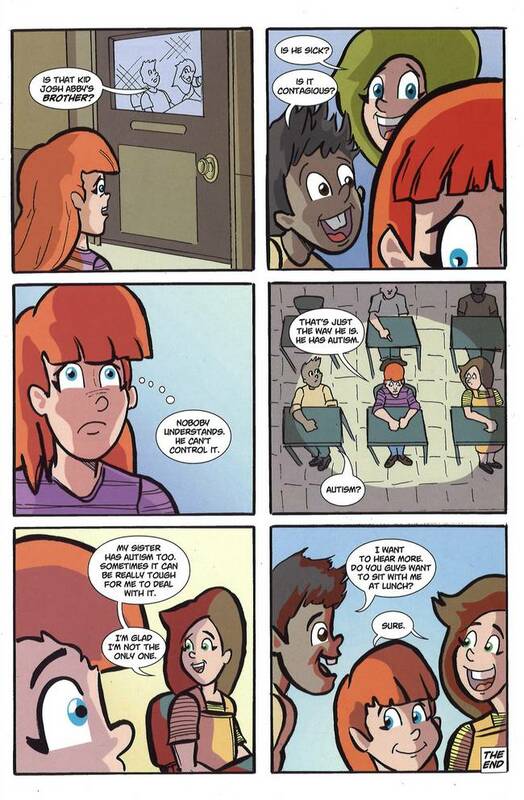 When it comes to these issues, this comic points out some important concerns not only for children and adolescents with special needs siblings, but for the people in our lives who need specific kinds of help. Addressing these narratives humanizes people that unfortunately do not always get cast in such a manner. If you need a little perspective, please pick up this comic, as it holds a vital message that many of us need to realize and that can help many people, especially children and adolescents. You can find resources for the comic and gaining a copy here. What do you think of this comic? What other comics are out there that handle the narrative of being a sibling to someone with special needs or being someone with special needs? Let me know on Twitter at @80Grey!